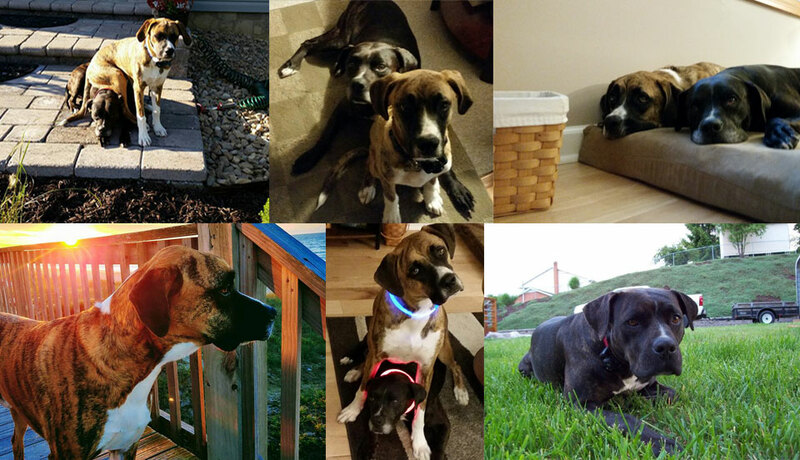 Meet Roxy and Levi, Our Company Mascots! Roxy and Levi are siblings and best of friends who complement each other well. She is calm and relaxed where he is full of energy and expression. Although they may occasionally tag along for estimates, they spend most of their time at the shop or office just sniffing around .They are amazing rescue dogs who bring a smile to the face of everyone who encounters them. Just like Roxy and Levi, New Look Exterior Cleaning will bring a smile to your face when you first see your newly cleaned home. SPECIAL OFFER: Roxy came to us by way of adoption from the Montgomery County Animal Shelter, and as a supporter of the shelter and the Humane Society, if you have proof of animal adoption or a donation of $25 or greater to either organization; we will give a $35 one-time discount toward the cost of any residential service!